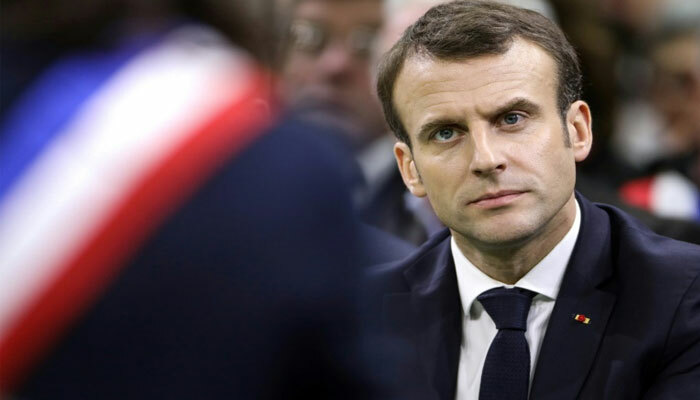 Emmanuel Macron continues on Friday the big debate to try to solve the crisis of "yellow vests", meeting at the Elysee about sixty ultramarine mayors, determined to assert the particularities and needs of their territories. This is the fourth time that the President of the Republic lends itself to the game of a discussion with mayors, after the meetings of Grand Bourgtheroulde (Eure, 600 mayors), Souillac (Lot, 600 mayors), and Valencia (60 elected ). This time, the meeting takes place at the Elysee, where a little more than sixty ultramarine (about 130 guests) of Guadeloupe, Martinique, French Guiana, Reunion and Mayotte have agreed to make the trip, at their expense. The elected representatives of the three Pacific territories (Polynesia, New Caledonia, Wallis and Futuna) were not invited, as the State did not exercise economic and social responsibility in these territories with special status. Some mayors see this meeting as a useless and superfluous exercise after a long consultation of eight months, the "Assizes Overseas", which resulted in June 2018 Blue Book Overseas. In this "road map", the government has made commitments for these territories which combine social and economic difficulties (high unemployment rate, GDP per capita lower than the national average, access to care and education difficult, high cost of life related to remoteness and insularity). "These are concrete answers," says Overseas Minister Annick Girardin, who will moderate the debate. She cited, for example, the creation of a 400 million euro fund to support businesses, the reinforcement of the exceptional investment fund (FEI) to support local projects, the mobilization of 700 million for the training of young people, the creation of a hundred doctor posts and 6,500 crèche places. But some mayors point out that on the ground, the needs are still there, despite these foundations and the many previous consultations: "Under Sarkozy, we had the States General Under Holland we had the discussions for the law Equality real overseas Under Macron, we had the Overseas Seabed with the Blue Book, and we are still asking for a big national debate ... ", says Éric Jalton, Mayor of Abymes, Guadeloupe. "I think that for Overseas, our governments know very well what we expect." Overseas, the "yellow vests" have mobilized little, although several social movements (in the Caribbean in 2009, Guyana in 2017, Mayotte in 2018), had already reflected the exasperation of the population. Only Reunion experienced its movement of "yellow vests", which blocked the island for fifteen days in December, to denounce the expensive life and social inequalities. Despite announcements by Annick Girardin on the spot (creation of a "counter job" to control the effectiveness of aid to companies, participation of volunteer citizens in the price observatory, increase in minimum old age, etc. ), many elected still intend to demand from the President measures for employment and purchasing power. Olivier Hoarau, mayor left of the Port, wants to remind him "the specificities" of its territory that the president "seems to misunderstand", referring to the 42% of the population under the poverty line, or prices 20% superior to those of the metropolis. The Head of State, who has already visited the Overseas Territories (Saint-Martin and Saint-Barth, French Guiana, New Caledonia, the West Indies) four times since the beginning of his mandate, is also expected on Sargassum and Chlordecone in the West Indies, access to drinking water, the long run for Mayotte airport, illegal immigration, the reduction of the tax deduction specific to Overseas, unsanitary housing, the Guyanese project of the Montagne d'Or, the Guyana agreements of 2017, some of whose demands are still unsatisfied.